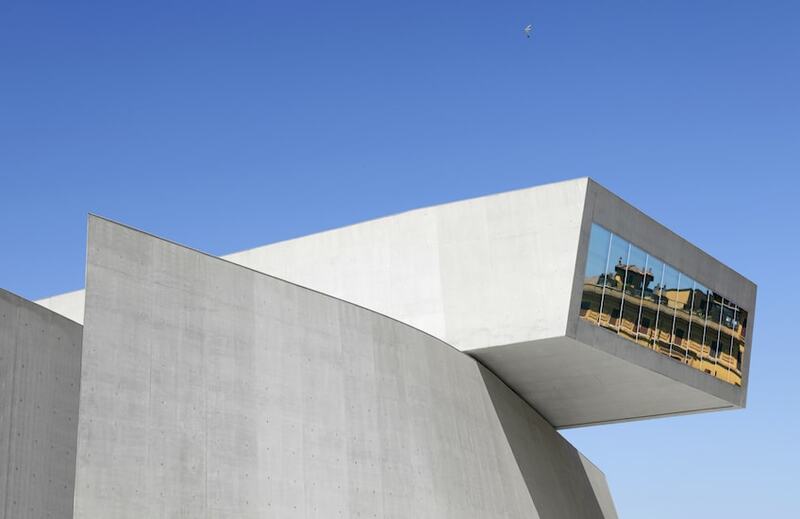 Her surprising designs have been criticised as being so extraordinary they’re unbuildable (she defied those critics), not always making sense in their intended location and being overly expensive but nothing Zaha Hadid did during her three-decade-long career has surprised the world more than her untimely death. In the weeks since her passing, the trailblazing and formidable designer has been remembered in moving tributes by industry lights, including Frank Gehry and Norman Foster. “She left us ahead of time – but she did everything ahead of time. Many of us weren’t ready for her arrival; none of us were ready for her departure,” expressed Marcus Fairs, editor-in-chief of Dezeen. Not only was she regarded by peers and critics alike to be the greatest female architect in the world today, Zaha proved it by being a woman of firsts. 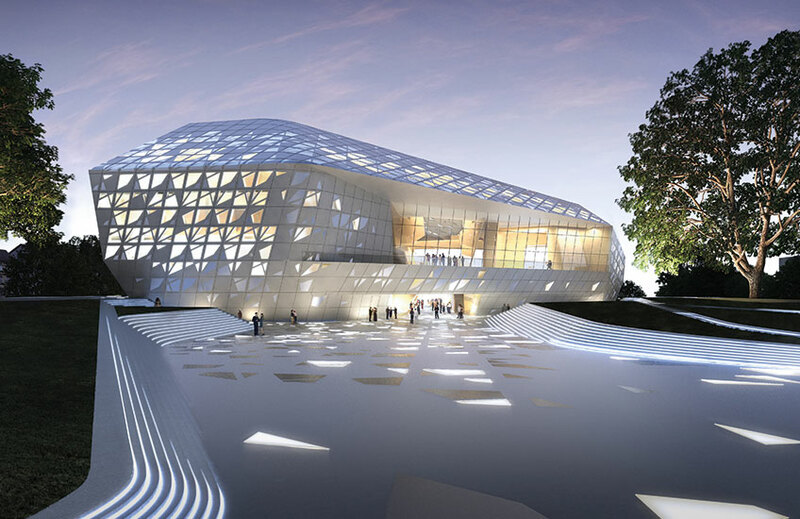 In 2004 she became the first woman and Iraqi to win the most esteemed prize in architecture, the Pritzker Prize; her Heydar Aliyev Centre made her the first woman to win the Design Museum Design of the Year Award; her Rosenthal Centre for Contemporary Art design was the first US museum to be designed by a female architect; and in 2016 she was the first woman to ever receive the RIBA Royal Gold Medal – an award granted by RIBA on behalf of the queen for outstanding contributions to architecture. She was also a two-time winner of the RIBA Stirling Prizes. Her title of Dame came when she was made dame commander of the Order of the British Empire in 2012. The Baghdad-born designer was undoubtedly a product of her surprisingly liberal (by today’s standards) upbringing. Born in 1950, the young Zaha Hadid was raised during a unique time in Iraq’s history where Western ideas were not just accepted but welcomed. Her city, looking to rebuild after the war, recruited some of the greatest architects of the time to do so including Le Corbusier and Walter Gropius. She would also explain the normality at the time of women working as successful architects, which seems to have protected her from feelings of inadequacy simply based on her gender and fostered her confidence in her abilities. As she gained popularity, she became a inadvertent participant in the gender debate. She once said, “I always thought I was powerful, since I was a kid.” What a prophetic statement would turn out to be. This upbringing was the ideal gestation preceding her arrival in London during the rebellious heyday of the 70s. That, and her school’s – the Architectural Association – approval of and encouragement toward the unprecedented and the unconventional. 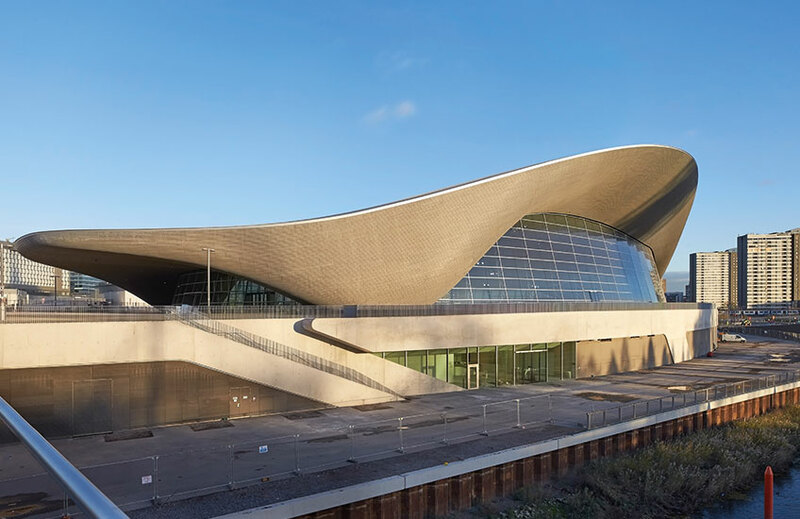 The early designs of Zaha Hadid Architects (founded in 1980) are testament to Zaha’s intrepidity. Her seminal design for The Peak – a clubhouse situated on a Hong Kong mountainside – was her first international commission. 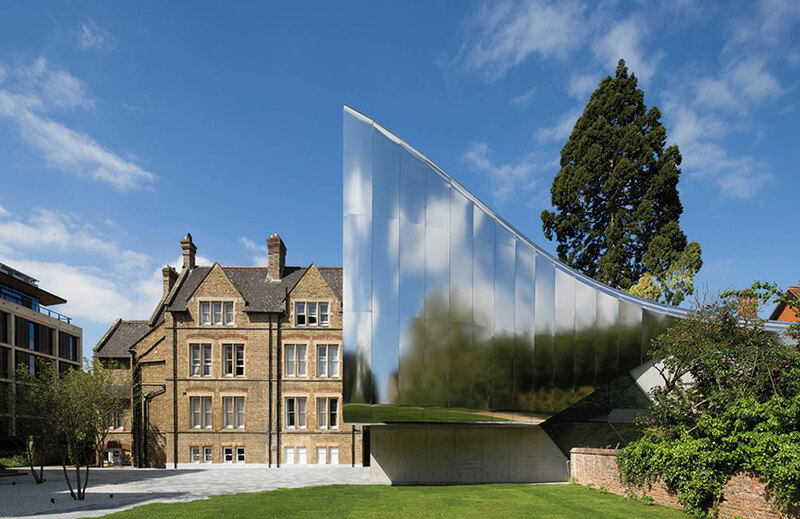 When her client lost the site, the design was unfortunately never realised but the extant design was enough to secure Zaha’s position as one of the most daring young designers. Its geometric lines projecting from the cliff face, seemingly gravity-defying, note her profound interest in Russian Suprematist art, particularly Malevich whose work she greatly admired and drew parallels to throughout her career. A gruelling 10 year period with few commissions during the 90s took its toll on Zaha and her firm. “We had no money,” Zaha explained in the documentary Who Dares Wins and of her dedicated team, “These people wouldn’t let go. In the 90s, honestly, none of us slept. For 10 years we were maybe 10 people but we did work for 100 people.” The tenacity of Zaha and her team during difficult times proved to be character-building and equipped them for the inevitable influx of interest in their work. Her first completed project – the Vitra Fire Station – designed in collaboration with her senior office partner Patrik Schumacher, came surprisingly as a result of an unfulfilled commission to design a chair. Of the project, Zaha explains, “[Vitra owner Rolf Fehlbaum] said, ‘Maybe the chair’s too restrictive. 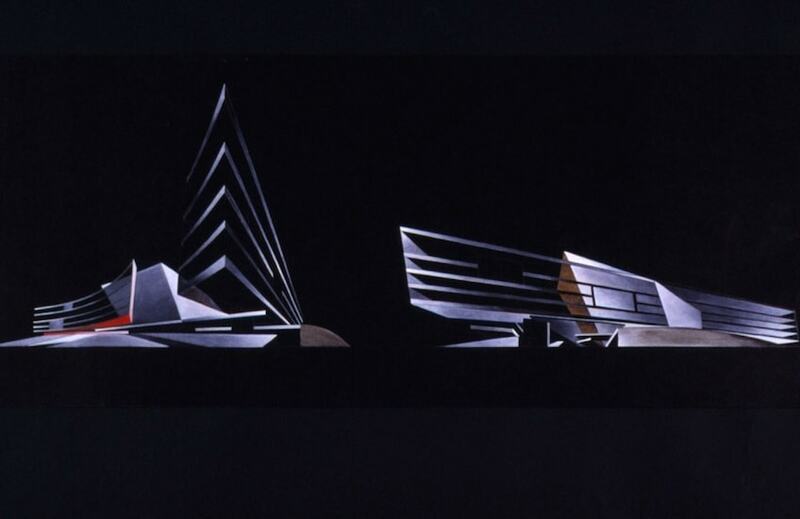 How about you do the fire station?’” Such was the trust early adopters of Zaha’s style had in her. That style was this: arresting, monoliths which incorporated pure architectural elements (expansive plains of solid concrete and angular lines) with sometime neo-Brutalist tendencies which often carried somewhat futuristic airs – an indication of her later work. Her belief in herself and the world was evident in her work ethic. “If you want an easy life, don’t be an architect,” she was once quoted as saying, “If you want a nine-to-five job and to go home and relax, just don’t do it.” She often related stories of teaching at the AA during the day and then long nights of designing for her own firm. The possibilities and her talent were too great for her to be satisfied with a 8-hour workday. The firm matured and Zaha’s opportunities increased. The designer became much less known purely for her experimental ideas and more for her experimental creations. 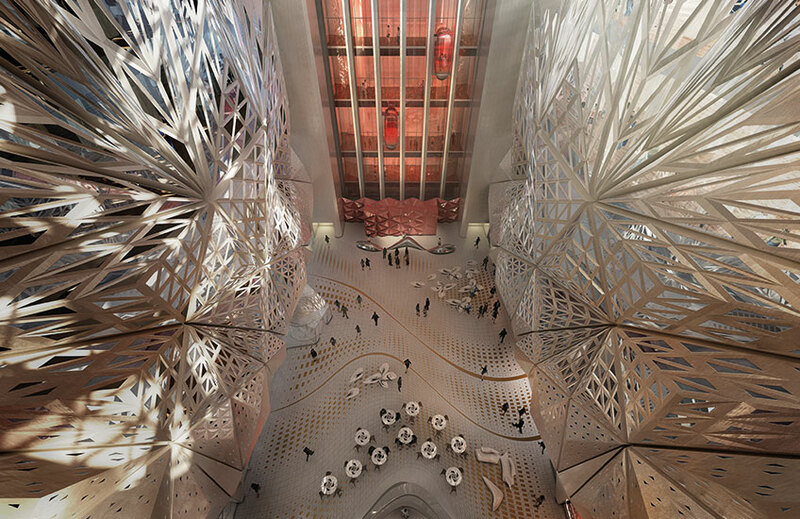 Her designs (which eventually included monumental projects like the Olympic Aquatics Centre and the Guangzhou Opera House) started to become known for their cellular structures and perfectly formed and interconnecting curves. 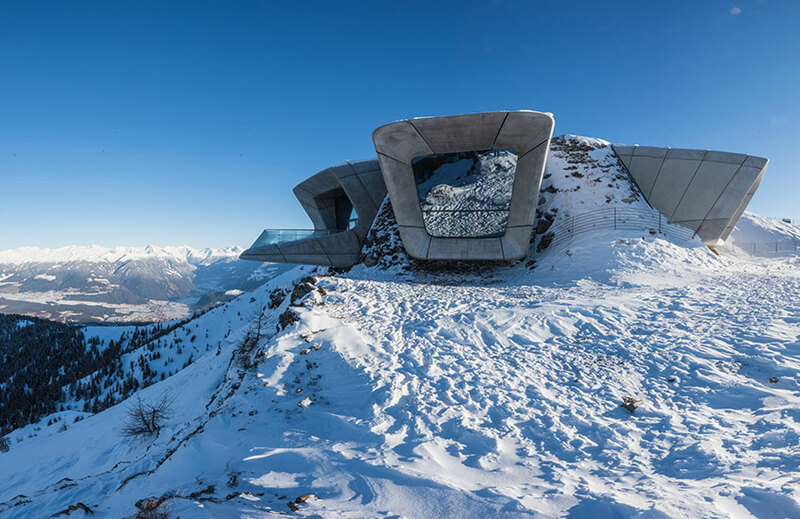 Designs range from tiered curvilinear buildings which emerge from the ground like extra-terrestrial travertines to fluid wave-like designs inspired by parametricism – a term coined by Patrik Schumacher referring to Zaha’s use of mathematical equations in her designs. 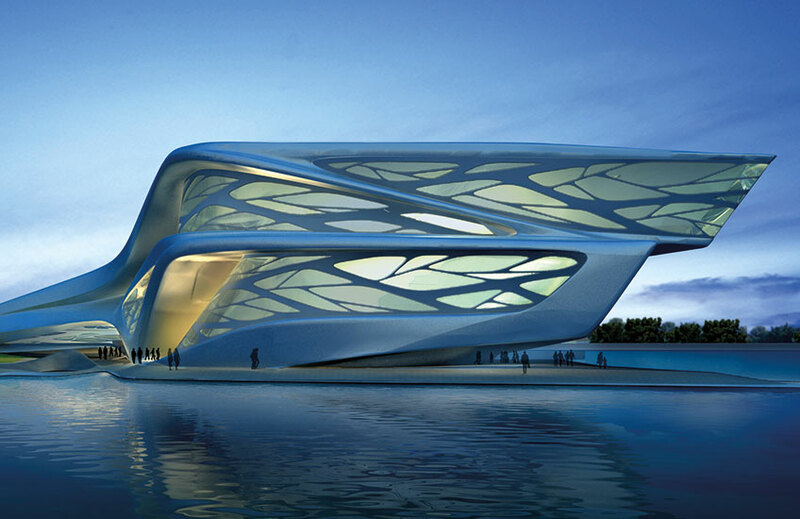 All have a distinct Zaha appeal: creations which are truly are otherworldly and now stand as monuments to her talent. Little would Julia, or the rest of the world for that matter, believe that this living work of art would be gone. The reality is that, whatever one’s thoughts are on Zaha Hadid, the likelihood is that the world of architecture won’t quite ever be the same. And that’s a sad reality indeed. The only consolation is that her life will have inspired some of the most talented design minds of the next generation and her departure will signal a call to step up to the plate. Headshot courtesy of Zaha Hadid Architects (photo by Brigitte Lacombe).